I love seeing how all of you show off the same contents in fabulous different ways. Incredible cards Tracey...from fun and whimsical to amazingly elegant. wow you have been crafty.. all of these are totally amazing.. fabulous designing..
beautiful cards! I really love the heart shaker you made!! Awesome! WOW! These are all sooo perfect! Love each and every one! These are gorgeous!! I am LOVING that adorable sentiment on the first one!!!!! So much cuteness! I love these! Great set of cards. I love what a variety there is in terms of styles here, love seeing them all together in that last shot! Love them all lined up Tracey! You did amazing things with the kit. All your cards are stunning ! Shaker card is amazing! Guess we all liked the birds on the confetti dots, love that one and thought it was mine at first. The flowers look beautiful on the shinny paper. Wow Tracey.. where to begin? I'll start with my favorite.. I'm a sucker for a confetti card and OMG yours is beautiful. I love all the gold and the champagne flutes. Looks so elegant, exactly what I'd want to send for a wedding. My next fave is the flowers on the satiny paper. THe pop of color is yummy and I love the pearl accents. You did a beautiful job showcasing your style and leaving me with different emotions as I scrolled through your cards. You go from elegant, to fun and casual and everything in between. Great post! Now there's that beautiful shelf full of cards I always look forward to...love your shaker card! Great idea and so neat with the heart outline and the champagne glasses. I also really love your outhouse card! LOL. I didn't know what to do with that one...great job with Marybeth's kit! 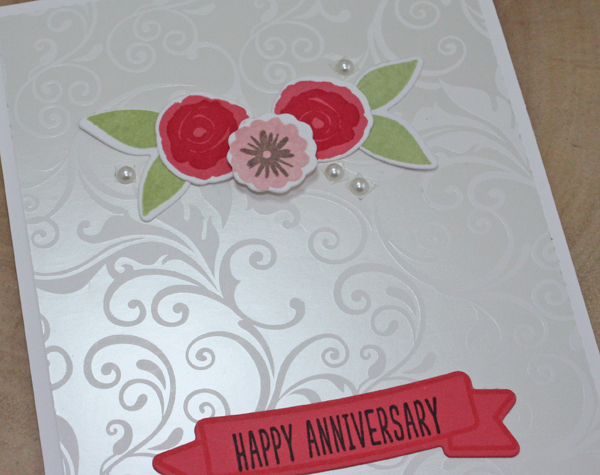 your Anniversary blooms on the shiny paper. 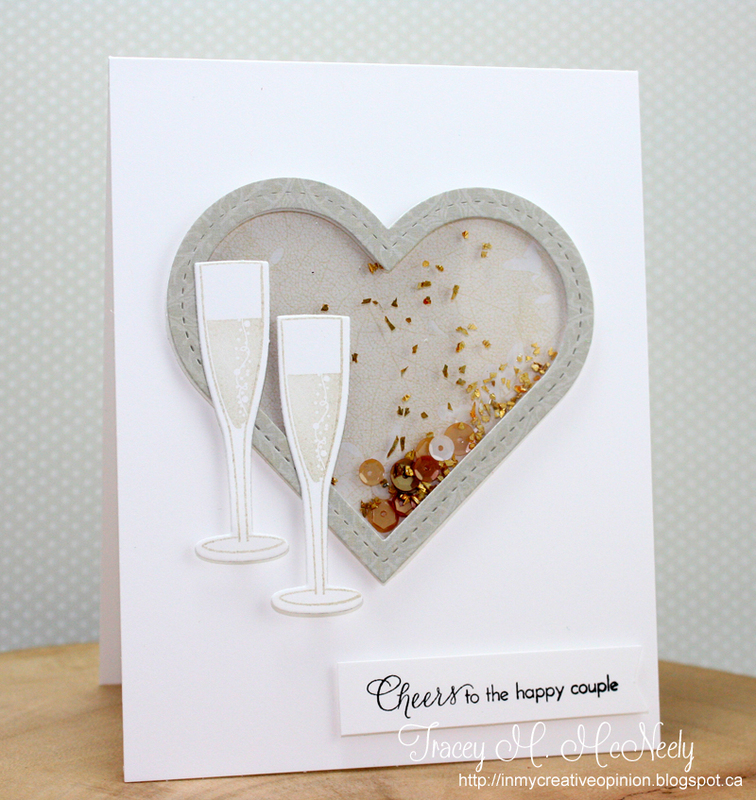 What a lot of fun and pretty cards, Tracey, I really love the shaker card with the sequins and sprinkles! And you want to come to my house to play? You will need to bring some of your fabulous things as well, but you are most welcome! Hope your day has been a fun one! Fantastic job with the kit, Tracey. As usual, you come through with flying colors, each card better and cuter than the next. Love your pink and blue penguins--they really made me smile. You did a really amazing job on every one of your cards, Tracey! I love how you have them lined up on the window sill, too...a parade of BEAUTY!!! Holy Macadamia! Love them all. One cute, one humorous, one Fun, one fabulous and one festive. How can you favor one from the other. Not even going to try. Nice. WOW what a pretty kit this is and your cards are out of this world!! If you guys ever need a new girl, look me up LOL, this looks like so much fun! I adore your shaker card, so elegant. What a gorgeous display of cards on the windowsill. Love that shaker card. Every one is wonderful, Tracey! 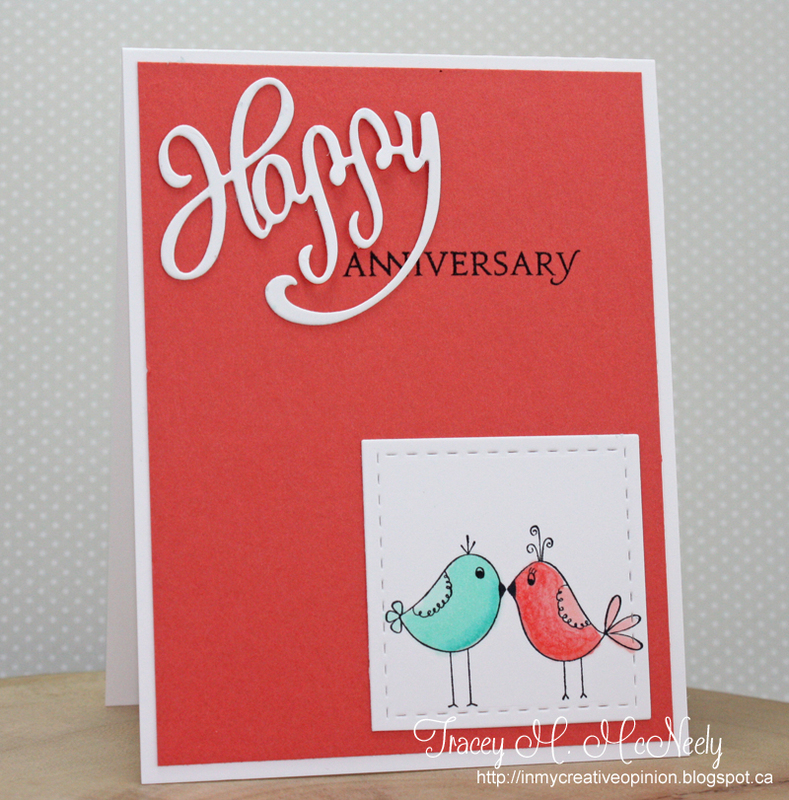 So much variety--from the fun outhouse card to the sweet and whimsical birds and then two really elegant designs. 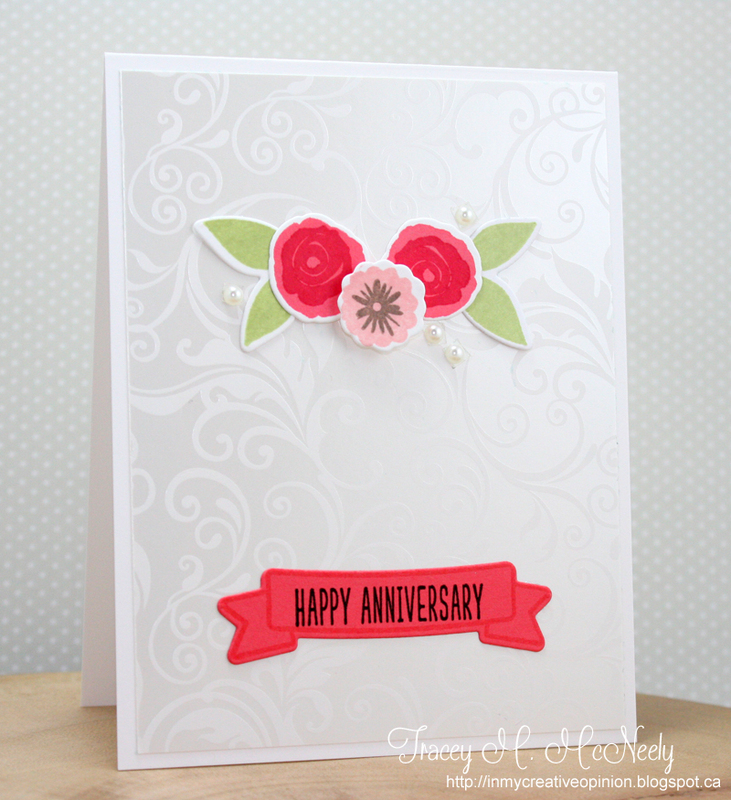 I love the flowers on that fabulous paper and my favorite, the gorgeous shaker card. Love how you added the champagne glasses! These are all wonderful, elegant, and inspiring! I really like each and every one especially because they are all different styles. 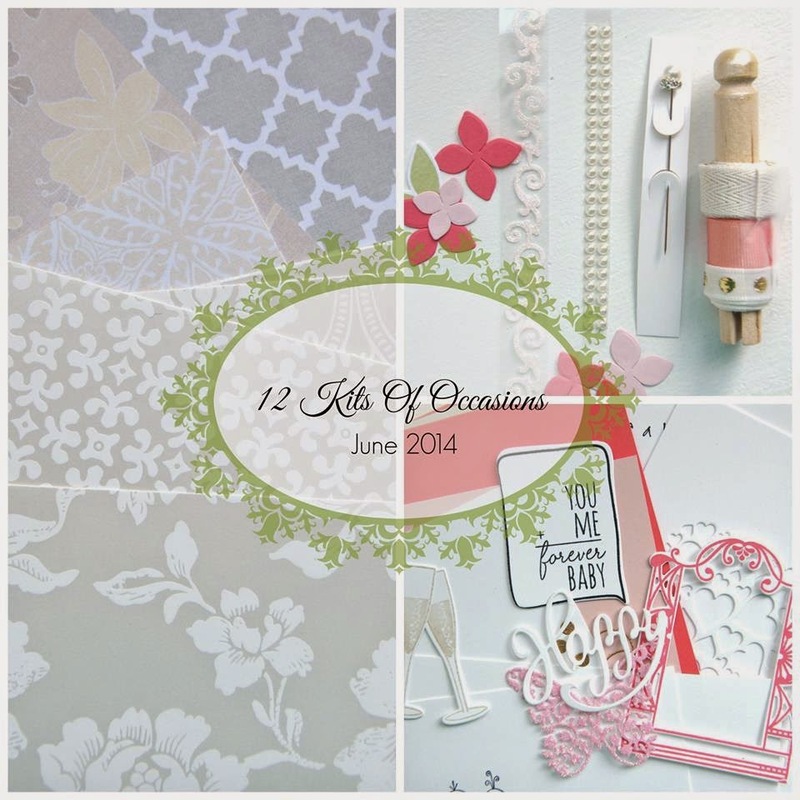 I have never heard of 12 Kits of Occasions, but I will be checking them out! look at all those beauties! Your style is so diverse, i love it! So beautiful, Tracey! My favorite is the first...love how you grounded those little birdies with the stamped polka dots...brilliant. I'm definitely CASEing that idea. Yes, I'm inordinately late; yes, I know I don't 'have to' catch up, but oh yes, I sure do! With soooo much creativity showcased here, visiting and leaving a note is a must! Besides, the inspiration is definitely good for my spirit! Again, Tracey, you've worked magic with this kit! Whoever receives these cards: guaranteed happiness! WOW! 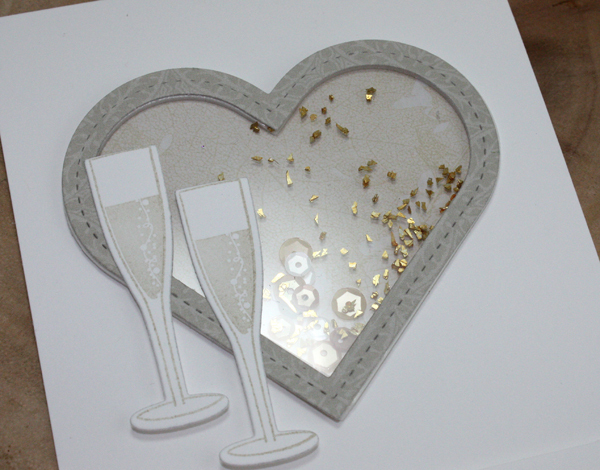 I love the champagne card! I love how you made your own shaker :) Then the two birds on the first? Too sweet! 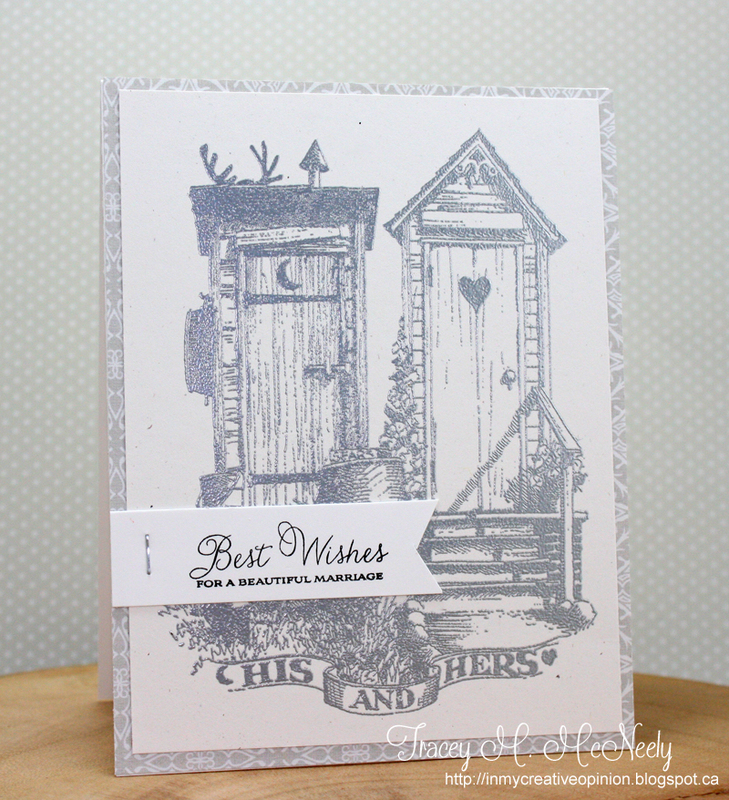 I really wanted to use the outhouses but I couldn't figure out how to add anything to it, I love how you stapled on the sentiment!